Kidzrock! Is back in session. Music Lessons for 4 to 7 year olds! Posted on September 6, 2018 at 10:06 am. Written by Joe Nardone, Jr.
Too young for individual lessons? We have a solution. 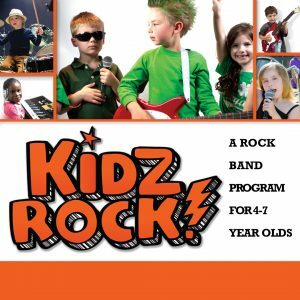 KIDZROCK is for 4-7 year old students. We teach how to play guitar, drums, piano, and sing in a real kids rock band. Students will be on kid sized instruments from day one. Our next sessions are at 5 pm on Wednesday night or 6 pm on Thursday night. It is an 8 week program. Call today to reserve a spot 570-970-9999.